"After entertaining adoring crowds in America, Europe, Hawaii, New Zealand, Australia, India, and elsewhere in Asia, “Professor” Risley (Richard Risley Carlisle) introduced Western-style circus to Japan in 1864. 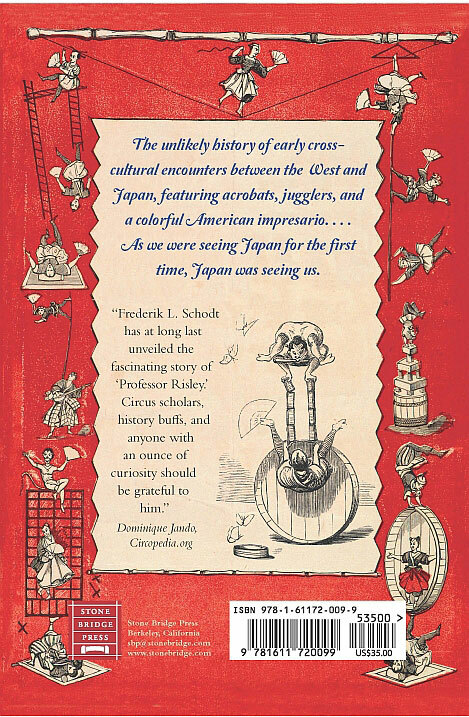 Three years later, this acrobat-turned-impresario gave many in the West their first glimpse of Japan when he took his “Imperial Japanese Troupe” of acrobats and jugglers on a triumphant tour of North America, Victorian England, and Europe. 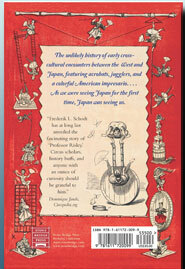 It was a member of Risley’s Troupe who in 1866 received the first passport ever issued by Japan. 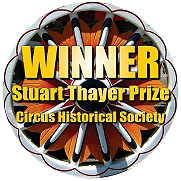 Over the next few years, the Troupe performed before presidents, monarchs, and ordinary citizens. Such early popular entertainments helped stir a curiosity about all things Japanese that later emerged as japonisme, The Mikado, and, in our time, the boom in manga and anime. Japan expert Frederik L. Schodt’s depiction of Risley and his Troupe, and its eventual dissolution, is enlivened by portraits of the circus demimonde and supported by nineteenth-century articles, diary entries, photographs, posters, and drawings, including 16 pages in color. His accounts of these first meetings between Westerners and Japanese shed new light on how different cultures meet, mingle, and influence each other. Descriptions of crowds, dazzling routines, and superstar Troupe performers like the famous Little All Right are a delightful revelation to anyone interested in Asia, the circus, and popular entertainment. With photographs, maps, and illustrations, including 16 pages in color, notes, bibliography and index. 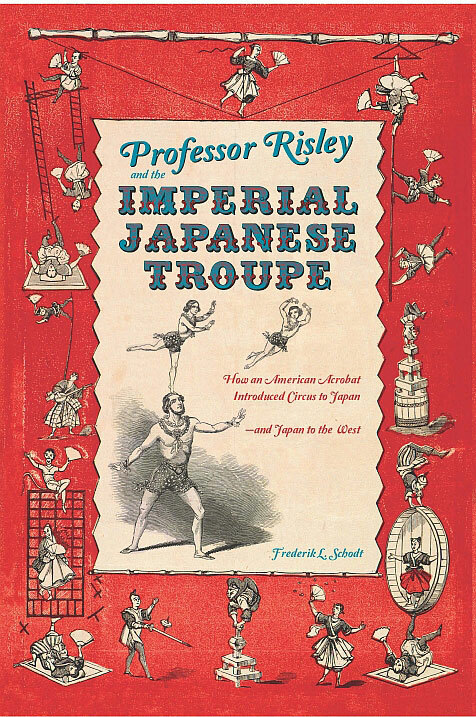 Jacket design by Linda Ronan, incorporating (frame) a color poster for Professor Risley’s Imperial and Original Japanese Troupe in Britain, circa 1869–70 (© the British Library Board, evan.489), (front panel) a drawing of Professor Risley and sons, from the Illustrated London News, February 7, 1846, and (back panel) a detail of the Imperials at work from The Mask, vol. 1, February–December 1868. 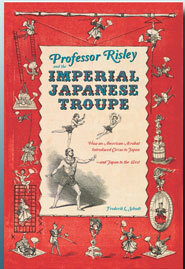 Professor Risley and the Imperial Japanese is published by the intrepid Stone Bridge Press, Berkeley, California, 2012. It is available for order through finer bookstores (please also ask them to stock it), as well as on Amazon, Barnes and Noble, and other on-line retailers. It is also available as an e-book on the Amazon Kindle platforms for PC, Macs, and tablets.